My art explores the idea of the aftermath of an uncontrolled chaotic event and the post-apocalyptic space that's left behind. 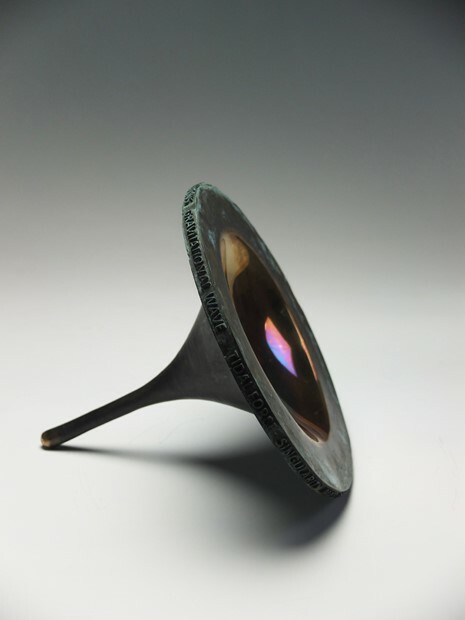 It is frozen in a historical state of change and cast in bronze and various materials. The work is an exploration of casting and fluidity of a substance where there is a feeling that matter, while temporarily taking on transient form, is capable of morphing into something else. 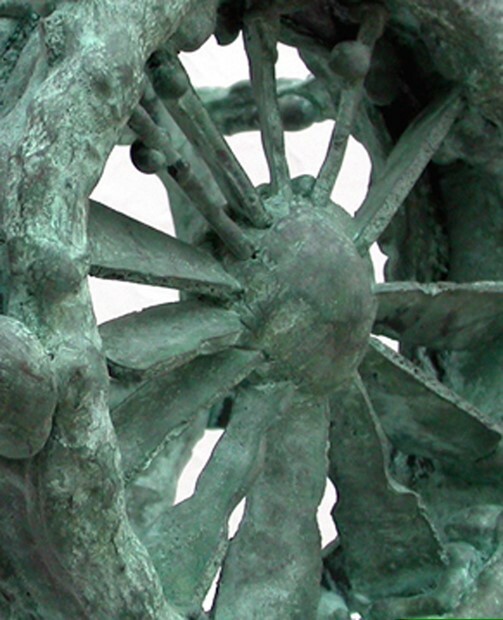 The order and disorder that's weaved into the work can be read as a manifestation of entropy. This evidence gives the viewer a sense of wonderment of the things that sometimes reside behind the mirror and not always in front. Art & science has played an important part within my work whether it’s science fiction or science fact. The idea that artwork is limitless has had a profound interest for me from a very early age. I’m a collector and over the years I’ve built up a cabinet of curiosities, which contain a host of eclectic items that were given to me or sometimes just caught my eye. 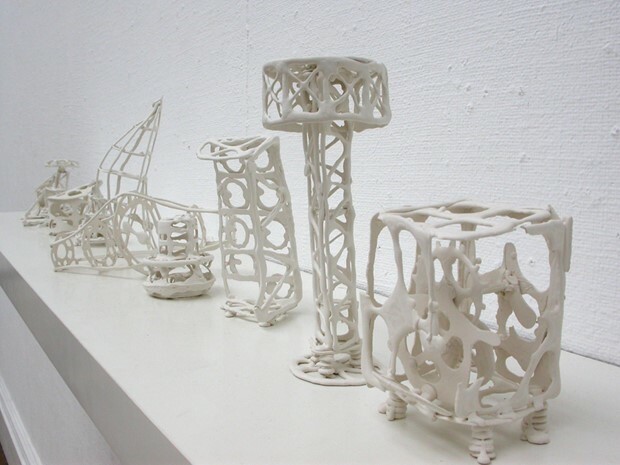 The relationships between these objects and the process of making intrigues me; they inform my work in revealing structures that convey these complex feelings. I’ve lived with engineering and technology all my life and transferring these skills into art has played an important part in where I stand today as an artist. Imagination, appearance and experience, all these things make our world and reveal a truly infinite human machine. 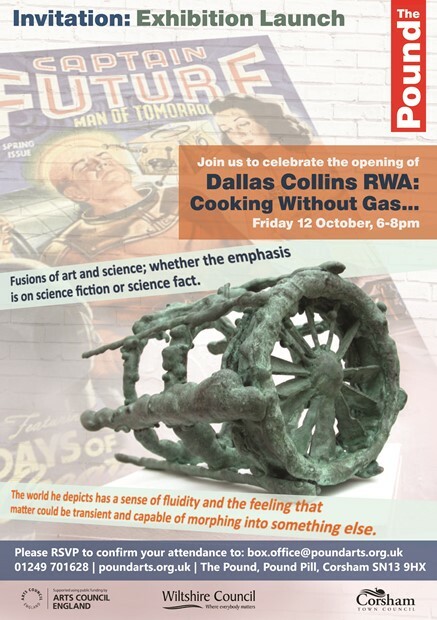 Dallas studied sculpture at the RCA from 1999-2001 and specialised in foundry art practice. In direct succession, he worked for the RCA for two more years and taught sculpture in Chelsea, London, Bristol and Cardiff. 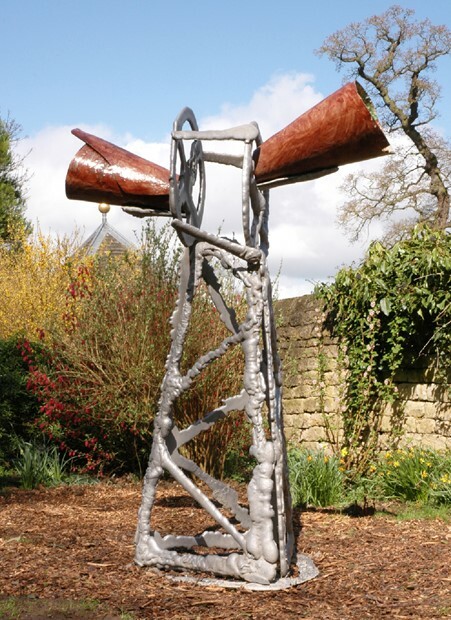 In 2007 Dallas was short-listed for the Jerwood sculpture prize with his work ‘Sweet’ and In 2008 was commissioned by Barratt homes of Bristol to produce a major large-scale bronze piece ‘Ocular Gate’ for a new Eco housing development near Bristol. Dallas has had numerous exhibitions and shows throughout the UK and abroad and his work is held in several private and public art collections. In 2009 Dallas helped initiated an artist collective; in 2010 the group was short-listed to represent Wales at the 54th Venice Biennale 2011. In 2016 Dallas joined the RWA as a network arist and in 2018 was selected as an academician of the Royal West of England Academy Bristol. 1999-2001 Royal College of Art London. MA Sculpture with Specialism in Foundry Art Practice. 2010 ‘54th Venice Biennale’ Short-listed to represent Wales in 2011. 2010 ‘Blue Bell Hanger’ St Athen, Cardiff. 2008 ‘Ocular Gate’ Barratts ‘Page Court’ Development, Mangotsfield, Bristol. 2017 'Iron Tribe Symposium' Highlands State University, New Mexico,USA. 2016 'WAC' Wells Art Contemporary. The Bishop's Palace, Wells. 2016 'IV Venice Vending Machine'. Kunst Altonale 18, Hamburg, Germany. 2016 '2015-2016 Secret Post Cards' RCA, Art Dubai, Madinat, Jumeirah. 2015 'WAC' Wells Art Contemporary. Wells and Mendip Museum. 2015 'RWA 163rd Autumn Exhibition’, Bristol. 2015 'III Venice Vending Machine' part of the 56th Venice Biennale. 2015 '2015 Secret Post Cards' RCA, Art Dubai, Madinat, Jumeirah. 2015 ‘1999-2015 Secret Post Cards’ RCA, London. 2014 '1SSUE 28' West Wharf Gallery, Jacobs Market, Cardiff. 2008 ‘Jerwood Sculpture’ BayArts, Bute Street, Cardiff. 2007 ‘Revalation’ The Paint Works, Bath Road, Bristol. 2006 ‘Giotto’ SBL School, North Street, Oldland Common, Bristol. 2006 ‘Another Product’, The Cornerhouse, Levenshulme, Manchester. 2006 ‘Blackout Arts Tower project’ Tollgate House, Bristol. 2005 ‘Iron Tribe’Highlands State University New Mexico, USA. ??????? 2006 Cardiff School of Art and Design, Cardiff Metropolitan University, Cardiff. 2010 Arts Council of Wales. 2008 Barratts Homes of Bristol ‘Page Court Development’ (£38’100) Commission in Bristol.